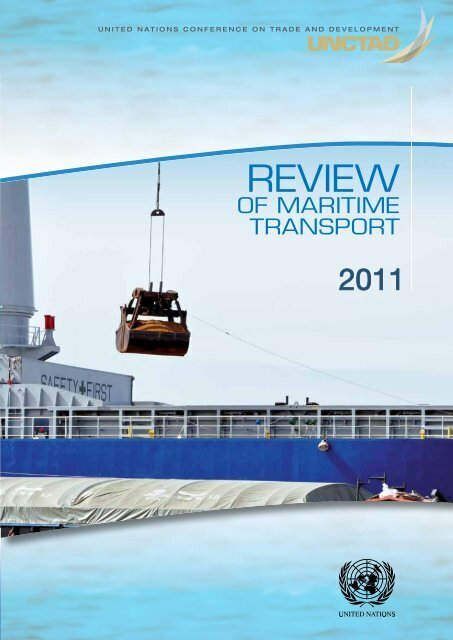 30 ENDNOTES REVIEW OF MARITIME TRANSPORT 2011 1 Data and information used in Section A are based on various sources including in particular: United Nations Department of Economic and Social Affairs. (2011). World Economic Situation and Prospects 2011. United Nations publication. New York; United Nations Department of Economic and Social Affairs. The World Economic and Social Survey. (2010): Retooling Global Development. New York; International Monetary Fund (2011). World Economic Outlook: Tensions from the Two-Speed Recovery: Unemployment, Commodities, and Capital Flows. April; Podan P.C, Organization for Economic Cooperation and Development (OECD). (2011). What is the Economic Outlook for OECD Countries? An Interim Assessment. April. Paris; Economic Commission for Africa. and African Union. (2011). Economic Report on Africa: Governing Development in Africa- The Role of the State in Economic Transformation; World Trade Organization (WTO). (2011). World Trade 2010, Prospects for 2011. Press Release. 7 April; and Economist Intelligence Unit (EIU). (2011). Country Forecast. Global Outlook. May. 2 For a more comprehensive overview of world economic developments, see UNCTAD’s Trade and Development Report, 2011, available at www.unctad.org. 3 United States Energy Information Administration data available at www.eia.gov (data accessed on 25 May 2011). 4 Economist Intelligence Unit (EIU). (2011). Country Forecast. Global Outlook. May. 5 Based on data by the UNCTAD secretariat. 6 Foroohar, R. (2011). Rise of the Rest – Developing Economies See Rising Wealth. Time. Economy Briefing. 4 April. 7 United Nations Department of Economic and Social Affairs. (2011). World Economic Situation and Prospects 2011. United Nations publication. New York. 8 Ibid. 9 Ibid. 10 Clarkson Research Services. (2011). Dry Bulk Trade Outlook. May. 11 Ibid. 12 United Nations Department of Economic and Social Affairs. (2011). World Economic Situation and Prospects. Monthly Briefing No 31. May. 13 Shipping and Finance. (2011). 23 May. p. 24. 14 Mathews S (2011). Disaster Could Cost Japan $235 Billion. Lloyd’s List. 23 March. 15 United Nations Department of Economic and Social Affairs (2011). World Economic Situation and Prospects. Monthly Briefing No 31. May. 16 Based, in particular, on the UNCTAD Handbook of Statistics and on information published by the World Trade Organization (2011) in “World trade 2010, prospects for 2011”. Press release. April. Available at www.wto.org . 17 United Nations Department of Economic and Social Affairs (2011). World Economic Situation and Prospects 2011. United Nations publication. New York. 18 Ibid. 19 Ibid. 20 Containerisation International. (2011). Building BRICs. 1 March.  (http://www.ci-online.co.uk/). 21 Ibid. 22 Economist Intelligence Unit (EIU). (2011). Country Forecast. Global Outlook. May. 23 United Nations Department of Economic and Social Affairs. (2011). World Economic Situation and Prospects 2011. New York. United Nations. Also reported in various press clippings from Containerisation International and IHS Fairplay. 24 Shipping and Finance. (2011). Bright Prospects of World Trade. p.26. 25 Ibid. 26 Price Waterhouse Coopers (PWHC). (2011). Economic Views: Future of World Trade: Top 25 Sea and Air Freight Routes in 2030. 2011. 27 United Nations Department of Economic and Social Affairs. (2011). World Economic Situation and Prospects 2011. United Nations publication. New York. 28 OECD-WTO-UNCTAD. (2010). Report on G20 Trade and Investment Measures (September 2009 to February 2010). 8 March. 29 Economist Intelligence Unit (EIU). (2011). Country Forecast. Global Outlook. May. 30 Ibid. 31 Masaki H (2011). “Japan, India to Sign Free Trade Agreement”. The Journal of Commerce Online. 15 February. 32 United Nations Economic and Social Commission for Asia and the Pacific (ESCAP). (2011), Economic and Social Survey of Asia and the Pacific- Regional Connectivity and Economic Integration. Bangkok: United Nations.